As the EU's major powers, Germany and France are expected to play a determining role in the negotiations over the relationship that Britain will have when it leaves. PARIS: French President Francois Hollande said today that Britain must agree on the conditions of its exit from the EU before the bloc's members discuss other issues such as a trade deal. 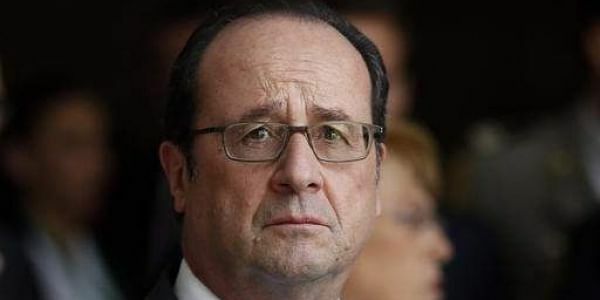 "First we must begin discussions on the modalities of the withdrawal, especially on the rights of citizens and the obligations arising from the commitments that the United Kingdom has made," Hollande said. "On the basis of what progress is made, we could open discussions on the framework of the future relations between the United Kingdom and the European Union," he added. Hollande's approach echoes that of German Chancellor Angela Merkel who on Wednesday snubbed Prime Minister Theresa May's call for negotiations on the UK's exit from the EU to run alongside talks on defining the conditions of their future relationship. Merkel said the negotiations "must first clarify how we will disentangle our interlinked relationship... and only when this question is dealt with, can we, hopefully soon after, begin talking about our future relationship". As the EU's major powers, Germany and France are expected to play a determining role in the negotiations over the relationship that Britain will have when it leaves.